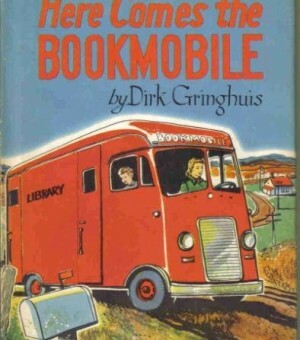 Today is National Bookmobile Day! What a great source of library outreach. 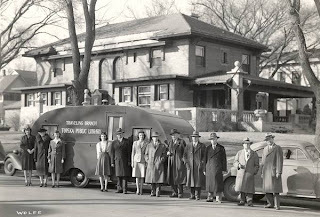 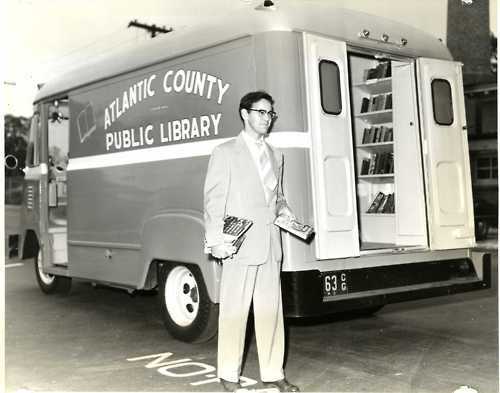 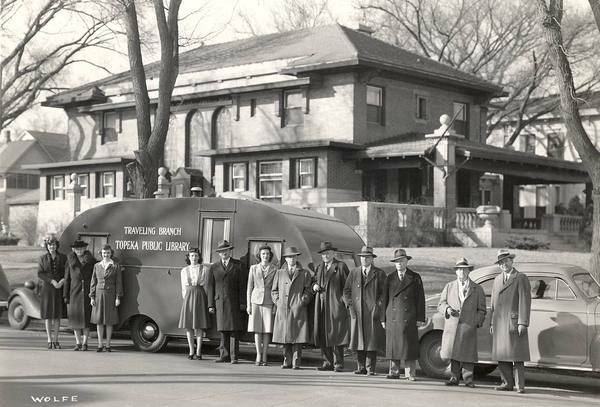 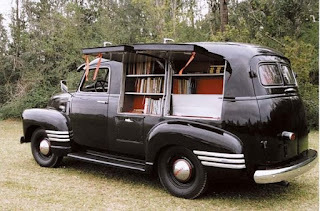 I've posted several photos of Bookmobiles before, but thought in honor of the day, I'd post a few more! 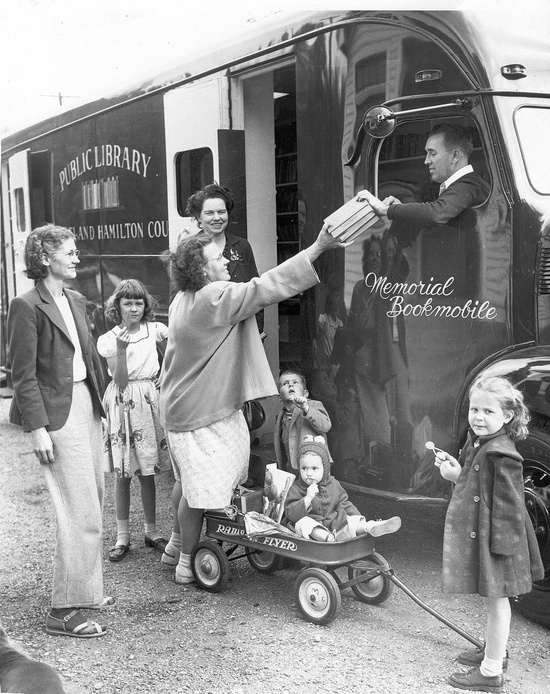 National Bookmobile Day celebrates our nation's bookmobiles and the dedicated library professionals who provide this valuable and essential service to their communities every day. We honor the access to information and resources our nation’s bookmobiles make available to our communities and the professionals who work diligently to provide these services. 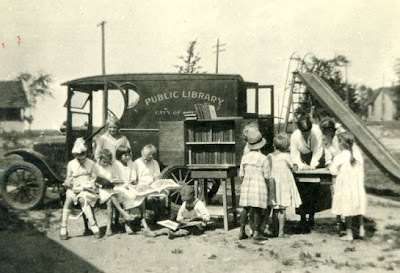 For more than 100 years bookmobiles have brought a library to those that otherwise may not have access to one. 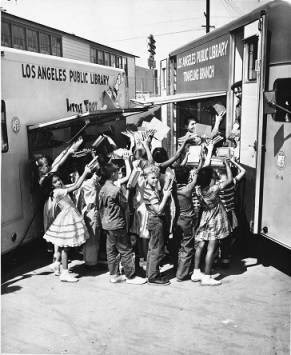 I remember looking forward to visiting the bookmobile when I was little. 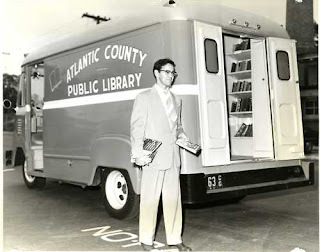 Now, when I read to my PreK classes about a bookmobile I show them photos like these. 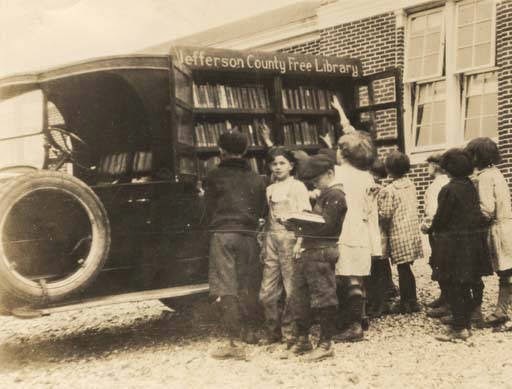 They, of course, have never heard of such a thing. 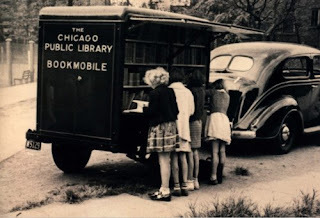 So, I tell them they are a lot like food trucks, except with books. That's something they can definitely relate to!